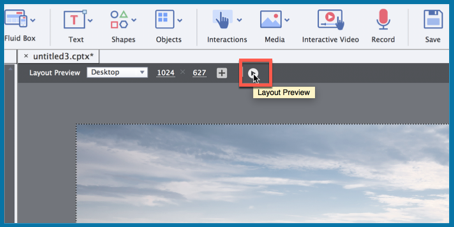 Hit the play button to see your content automatically change shape and form factor across the full spectrum of device sizes in responsive courses created using Adobe Captivate. 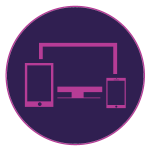 Get a holistic view of how responsive your content is on every screen size. 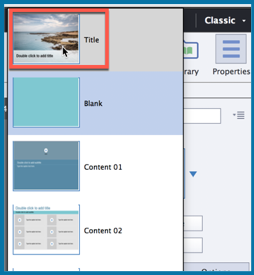 On the Welcome screen, under New tab, double-click Responsive Project thumbnail to create a new responsive project. 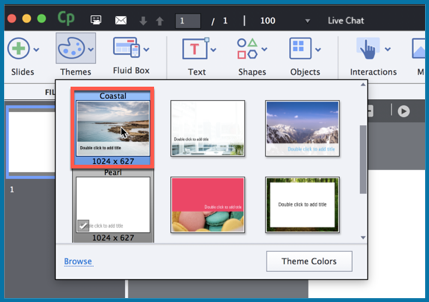 On the Toolbar, click Themes, and select the Coastal theme to apply it to the project. Click Yes to apply the new theme. 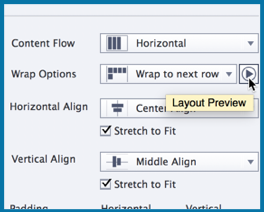 Click the Properties icon on the top-right corner. 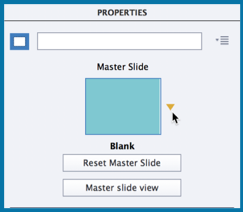 Click the arrow next to the Master Slide thumbnail. From the list of Master slides, select the Title thumbnail. 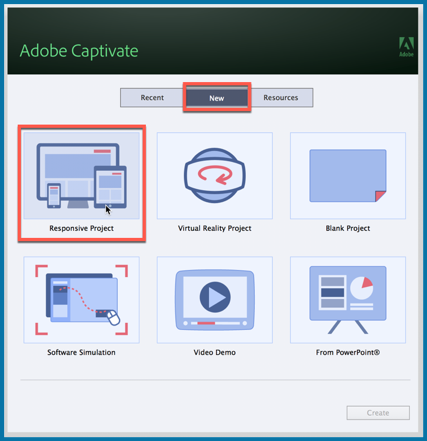 Adobe CaptivateAdobe Captivate 2019automatic device previewblogdevice previewfluid boxesResponsive eLearningWhat's new?